A quick view of the most influential metrics in Mission Valley. Mission Valley is a river valley through which the San Diego river flows, it is also a community made up of two neighborhoods, Mission Valley East and Mission Valley West. 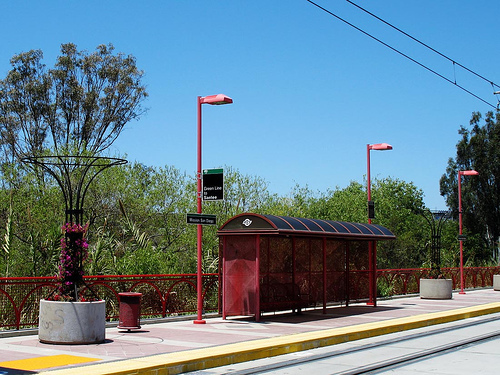 The community of Mission Valley lies within the city and county of San Diego, California. Mission Valley is the site of the oldest Spanish settlement in the areas which were established in 1769, the Presidio of San Diego and Mission of San Diego de Alcalá. The Mission Valley area has been an entertainment and shopping hub from the Greater San Diego area. There are two main shopping sites in the community Fashion Valley Mall and Mission Valley Center Mall. Fashion Valley Mall has many upscale retail establishments like Tiffany, Neiman-Marcus and Louis Vuitton. Mission Valley Center Mall features a theater along with more middle range shopping venues like Target and Nordstrom Rack. The area was first inhabited or at least used by the rather nomadic Kumeyaay Indians for around 10,000 years. The first European settlers in the area were the Spanish which established settlements in 1769 and spread to open several missions throughout the region in the years that followed. The area remained mostly undeveloped and used as farmland, dairies and citrus growing fields up until the 1940s. True development began in 1953 with the construction of the first Hotel. In 1958 90 acres were rezoned as a regional shopping center. The arrival of the freeway in the 1950s and 60s led to even more development and growth. Today the area is a mecca for shopping and fashion as well as the home of the home of the San Diego Padres at Westgate Park. Today the area is a mecca for shopping and fashion as well as the home of the home of the San Diego Padres at Westgate Park. The city is home to several attractions from the historic to the modern. There is the Old town San Diego State Historic Park, which is the original site of the town of San Diego. The Presidio Park and the Mission San Diego de Alcalá are the original settlements of the Spanish, both they and the Old Town San Diego State Historic Park are on the National Register of Historic Places. Mission hills contains shopping malls, the 27 hole Riverwalk Golf Club, the 18-screen movie theater and countless sites for eating, drinking and entertaining. Visitors and residents can take self-guided tours of the historic mission or just relax in the modern comforts of the neighborhood. Though primarily an entertainment and shopping district Mission Valley does contain some houses, condominiums apartments and other housing options. Local real estate agents are best equipped to help you explore all your housing and living needs in the historic and lively community of Mission Valley. View our selection of available properties in the Mission Valley area. Check out the latest demographic information available for Mission Valley. Browse through the top rated businesses in the most popular categories Mission Valley has to offer.